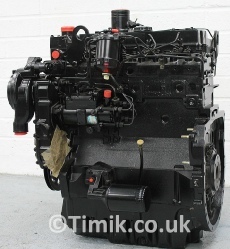 ﻿ Perkins Engines for sale, new - reconditioned, Perkins parts supplier. Recon engines are usually stripped down (sometimes only partially), and have some damaged parts replaced and then rebuilt. Reman engines are fully stripped and inspected in detail, components and parts are checked against the manufacturers’ original specification, and key parts are replaced. A remanufactured engine is required to meet a certain standard under BSI AU 257:2002, set by British Standard Automobile Series code of practice. All our complete engines are stripped and inspected, the fuel injection equipment is renewed, a replacement turbocharger is fitted (if applicable), the engine block is bored, liners fitted and bored back to standard, new pistons and rings fitted, crankshaft ground new bearings fitted, cylinder head is reconditioned having valve seats re cut and new valves fitted if necessary, all new gaskets fitted and all other component’s inspected and changed if necessary. The engines are re assembled in our clean workshop using the correct procedures and tolerances. The engine is then dynamometer tested for 4 hours and given a coat of paint ready for delivery. Complete Perkins engines come with a 12 month warranty. Prices Include running-in oil and delivery by carrier in England and Wales. Delivery to Scotland extra. All Perkins engines can be supplied worldwide, please contact us for a delivery quote (provided at cost) if you are based outside the UK, as this will not be included in the price. A surcharge is charged on all reconditioned engines for return of the old core. When the old unit has been returned to our premises this surcharge will be credited in full, provided that the unit is complete, of the same model as the unit supplied (if your engine is not the same model please call to discuss prior to placing an order as we will be willing to work around this) and suitable for reconditioning. Please ensure the engine is drained of oil and includes your name and address when it is returned. This surcharge is due for payment within 28 days from the invoice date if the old unit has not been received. If you are outside the UK the surcharge will be payable before the engine is dispatched, this will be refunded to you as soon as we receive your old unit in a reconditionable state. Perkins Engines have been designing and manufacturing diesel engines since 1932. With the help of Charles Chapman, a design engineer, Frank Perkins created the concept of a high-speed diesel engine, beginning with Perkins’ four cylinder Vixen in 1932. By 1935 Perkins held six world diesel speed records. Massey Ferguson purchased F. Perkins Ltd in 1959 and the company continued to trade as Perkins Engines, developing new Perkins engine series for forklifts and power generation. Caterpillar (CAT) then bought Perkins in 1998 and expanded the business, Perkins diesel engines are now manufactured in the UK, United States, China, Brazil, and India. 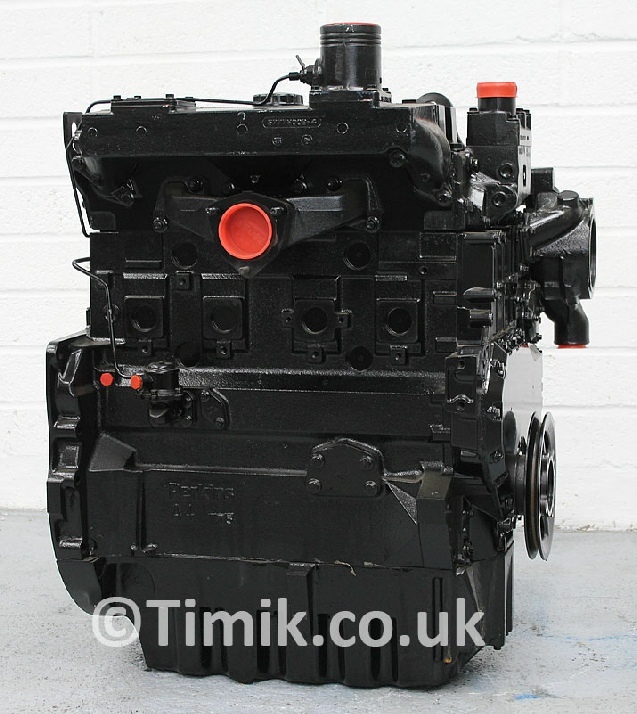 Timik have become a reliable Perkins engine remanufacturer with over 30 years of experience. We are also a recommended Perkins parts retailer, and able to supply a large range of genuine Perkins parts, to learn more about what we can supply please visit our Parts page. 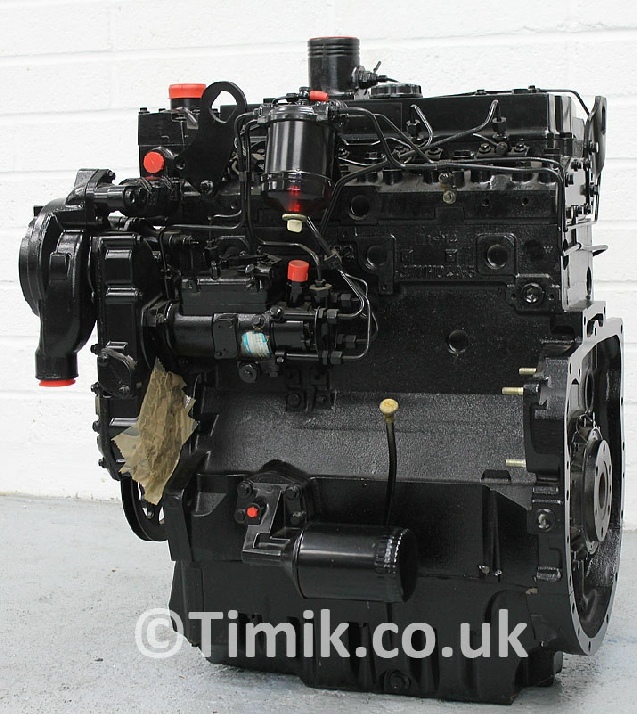 We have more Perkins engines available, please contact us if you do not see the engine you require above. For all engines in stock please click here. If you do not see your engine please contact us with your engine build/serial number for options. If you require help identifying your engine please click here.